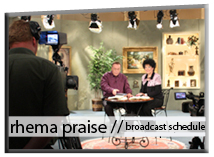 ROKU Rhema Channel: The RHEMA Channel can be found under the Spiritual category on ROKU set top boxes. 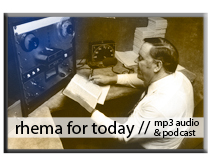 Simply add the channel for free and enjoy Timeless Teaching sermons and much more! Use the code RHEMA to automatically add the Rhema Channel to your Roku. 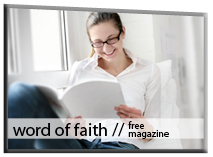 Word of Faith Magazine: Each month, more than 300,000 homes worldwide enjoy these articles, testimonials, and discounted product offers. 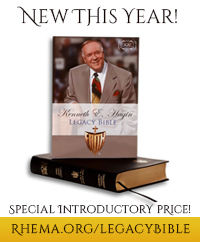 This free publication will build your faith while informing you of changes around Kenneth Hagin Ministries. Read the very first issue, published in 1968 then browse and download recent issues. RHEMA For Today: Join Revs. Ken and Lynette Hagin as they share classic messages from Rev. Kenneth E. Hagin along with fresh manna from the Word of God. Keep up to date with changes to the broadcast schedule or listen online now! Subscribe to the audio podcasts. RHEMA Praise: RHEMA Praise focuses on the entire ministry. And Ken and Lynette Hagin wholeheartedly embrace one-on-one time with their TV audience. Watch RHEMA Praise and get better acquainted with this warm, friendly couple who lead RHEMA in excellence and experience the power of God! Rhema.TV: Worship with us LIVE! Church service times are Sunday at 10:00 a.m. and 7:00 p.m. and Wednesdays at 7:00 p.m. Message of the Month: These exclusive messages made available only to Message of the Month members will help you grow in faith, renew your mind, and rise up to new levels in faith. 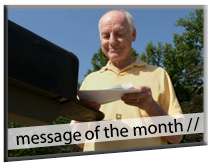 With your subscription you'll recieve 12 messages delivered right to your door monthly. 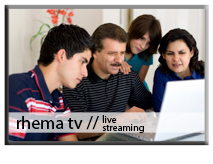 Video On Demand: Missed one of our “Live” Services on Rhema.tv? Don't Despair! 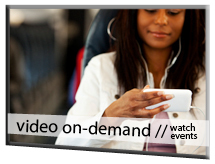 You can now go back and watch the services whenever you want with our Video On Demand. New services will be added as they become available, so check back often. Browse our videos. You may view our broadcast schedule here.